Please join the Gleeson Library on September 8 as it celebrates the reopening of the Donohue Rare Book Room following a fifteen-month renovation. The University will welcome Mark Dimunation, Chief of the Rare Book and Special Collections Division at the Library of Congress, who will give an illustrated talk on “Jefferson’s Enlightenment: Reconstructing the Thomas Jefferson Collection at the Library of Congress.” Mark Dimunation is responsible for the development and management of the largest collection of rare books in North America. At the Library of Congress he acquires materials, develops programs, and oversees the operations of the Division. Prior to arriving at the Library of Congress he was Curator of Rare Books and Associate Director for Collections in the Division of Rare and Manuscript Collections at Cornell University. He specializes in eighteenth and nineteenth-century English and American printing history and is featured often on National Public Radio. The program will take place on Monday, September 8, at 4:00 p.m. in Fromm Hall and will be followed by an open house in the Donohue Rare Book Room. For further information, please call (415) 422-2036. 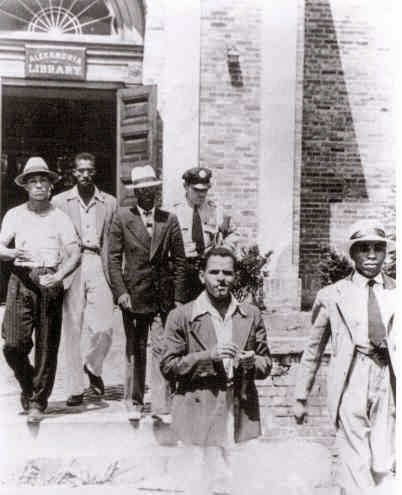 "On August 21, 1939, five African American men individually entered the segregated building and requested library cards. When denied, each man calmly took a book off of a shelf to read. After two hours, library authorities had the men arrested for their act of 'civil disobedience'. 'Due to the bravery of these men, 75 years later our library is a community hub that supports all individuals by providing equal access to books, technology, culture, and so much more', says Director of Libraries, Rose T. Dawson. Dawson also happens to be Alexandria’s first African American Library Director. 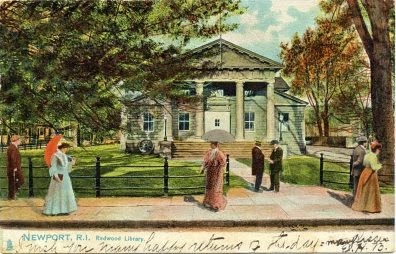 The Alexandria Library was founded first as a subscription library in 1794 and became Alexandria’s public library in 1937. Two years later, Attorney Samuel Tucker organized and defended sit-in protesters, William (Buddy) Evans, Otto L. Tucker, Edward Gaddis, Morris Murray, and Clarence Strange. Though the men were charged with disorderly conduct, the city delayed the case and no ruling was ever issued. The public is invited to join Alexandria Library in recognizing this significant local event. The program will feature keynote speakers Frank Smith, Ph.D., Director, African American Civil War Museum and Patricia Timmons-Goodson, North Carolina Supreme Court Justice (Ret.) and who is a newly appointed Commissioner, United States Commission on Civil Rights. Visitors can also enjoy music, children’s activities, food and refreshments, gift bags, and more on Thursday, August 21, 2014, from 10 a.m. - 2 p.m. at the Kate Waller Barrett Branch Library, 717 Queen Street, Alexandria, Virginia, 22314!" During the 1920s one room school houses for multiple elementary grades in rural America were common. So it wasn't unusual that the members of the American Library Association (ALA) and the National Education Association (NEA) were interested in identifying the best books for these schools. In 1922 ALA published a small brochure (at left) titled "A Shelf of Books For A One Room School" which identified 25 of the best books for a one room school. The books had been selected by ballot by librarians and teachers at the conferences of ALA and NEA. 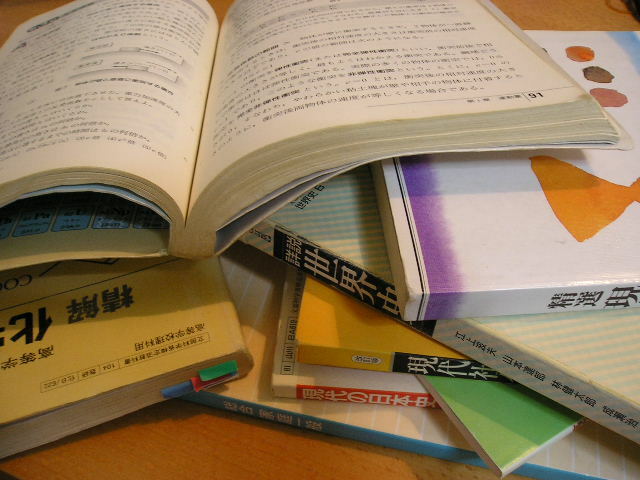 The brochure lists the books in order of their popularity with the voters. Number 1 on the list was Little Women by Louisa May Alcott. Other high ranking books were: Alice's Adventures in Wonderland and Through the Looking Glass (Carroll); Life of Robinson Crusoe (Defoe); Adventures of Tom Sawyer (Twain); Treasure Island (Stevenson); Boys' Life of Abraham Lincoln (Nicolay); Jungle Book (Kipling); Fairy Tales (Andersen); Aesop's Fables; Merry Adventures of Robin Hood (Pyle); and Child's Garden of Verses (Stevenson). Short descriptions and prices were provided for the books, and at the end there is a note that any book dealer should be able to supply the books. We know textbooks can break the bank! Here are some options to getting them for free or on the cheap. • Search by title, author, or ISBN in the library’s catalog to see if USF owns a copy. • Check to see if your instructor has put a copy on reserve in the library. Search here by instructor’s name or by course number. If you don’t see it, ask your instructor to put a copy on reserve. • Purchase or rent a textbook from the USF Bookstore. • Request a copy from another library via Link+ for free. Copies arrive to USF within 4 business days. • Submit an interlibrary loan request to borrow a copy from a different library (can take longer than using Link+). • Compare prices at different retailers with the Textbook Deal Finder. Have any other tips? Leave them in the comments! Librariana collector and library humorist Norman D. Stevens published "The Umbrella Paper" as part of a humor collection in The Librarian's Record, Vol. 5, No. 5 (March 1980). The Librarian's Record was a publication of the Molesworth Institute. In Stevens' paper on the umbrella he laments that research has become more and more difficult, but notes that one area that has not yet been adequately explored is umbrellas in libraries. He goes on to indicate that the Molesworth Institute has undertaken some initial investigations on that topic. 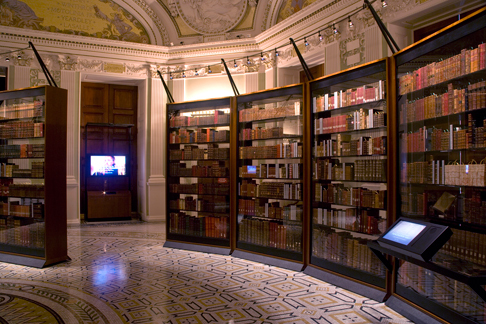 As part of its investigations, according to Stevens, the Institute used its computerized file of the information contained on some 5,000 picture postcards of libraries. 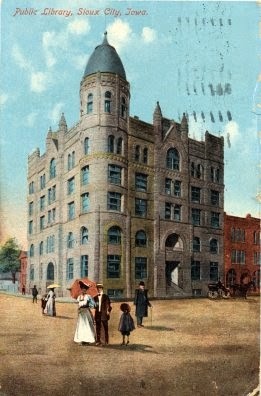 The analysis of these postcards found that 17.3% of the people shown on the exterior views of libraries were carrying umbrellas, and that 2.3% of the people shown on interior views of libraries were carrying umbrellas. Finally, 329 of the 973 interior views of libraries showed unattended umbrellas. Although Stevens personally accumulated a collection of more than 25,000 library postcards and thus is probably one of the foremost authorities on library postcards, I believe he was pulling our leg with that information (you think). 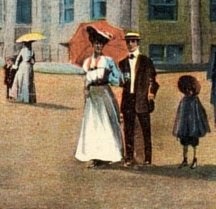 It did prompt me, however, to go through my collection of library postcards and I actually did find a couple with umbrellas (more accurately parasols). The one above shows the exterior of the Sioux City, IA Public Library and the one below shows the Redwood Library in Newport, RI. I'm a proud Fellow of the Molesworth Institute.